Your garage provides a perfect transition between the outside world and your home. It acts as a shelter for your car, your sporting and gardening equipment, storage for food and Christmas decorations, and sometimes even a workspace for various projects. For most of these functions, it’s good for the garage to be an enclosed shelter. However, things are even better when your garage is more comfortable and insulated. First of all, it’s important to understand that proper garage door insulation isn’t just about keeping out the weather. Effective insulation will also keep out street noise, humidity, and dust… as well as extreme temperatures, of course. Insulation for a garage is usually focused on the garage door because it’s the thinnest wall in your garage, and therefore is the worst at keeping the temperature regulated. But with proper insulation, the opposite can be true! It’s also important to note that the material of the garage door itself has inherent insulating qualities. In the biz, we measure the insulation of your garage door using “r-values.” This refers to a material’s resistance to thermal flow. It’s often determined by an object’s thickness and density. Changes in age and moisture can also change the r-value. Some people opt to do garage door insulation as a DIY project. It’s true that you can add elements to an existing garage door to make it more insulated, including batt insulation, foam insulation, or reflective boards. However, a garage door is unique from many other insulated surfaces in its mobility and flexibility. As it moves up and down over 1000 times per year, DIY insulation quickly becomes disrupted, messy, and ineffectual. 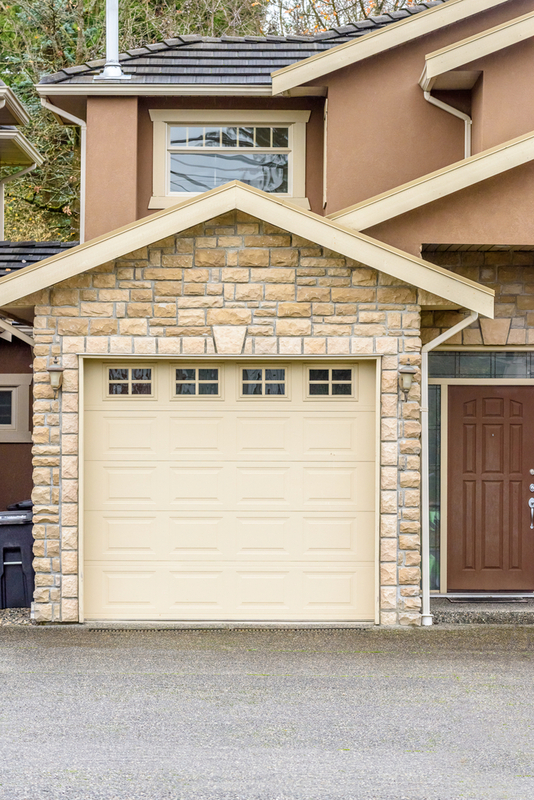 If you want effective insulation, it’s best to opt for an insulated garage door. Professionally-produced insulated garage doors look the same as non-insulated doors. There’s nothing to be lost in aesthetic value for your house if you choose an insulated garage door. However, you might find yourself with more limited options. For example, wooden garage doors don’t have a lot of insulation. You’ll find the highest r-values on vinyl doors. Effective insulation for a garage door will go beyond the foam that fills the panels. Most outside air will come in through the joins in the panels and the cracks around the border of the garage door. Weatherstripping around the corners, along with sound construction, will ensure that your garage is kept warm in the winter and cool in the summer. If you’d like better insulation in your garage, give us a call.